The composer himself conducts one of his most well-known works, his Cello Concerto Nº2, “No queda más que el silencio” (“Only silence remains”, 1985). We have two notable performances of this concerto on CD: that of Mstislav Rostropovich, to whom the work was dedicated, conducted by Halffter (Erato ECD 75320), and that of Boris Pergamenschikow, also with the composer on the podium (Montaigne MO 782111). 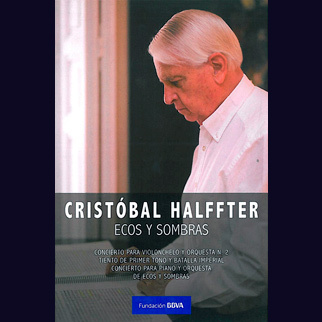 The recording that Asier Polo and Cristóbal Halffter offer us is somewhere between the two. 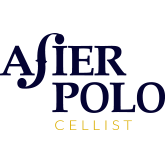 Polo is technically exquisite, with an interpretation that’s in the distinctly modern style of Pergamenschikow, but without failing to be influenced by Rostropovich’s recording, with which it shares a marked use of vibrato, intense expressiveness in the more meditative passages, with a beautiful result, and excellent intonation, which is especially apparent in the cadenzas – introspective, poetic songs that explore the silence. As for the orchestra, the Spanish National Orchestra exceeds expectations, making it the best performance on this Blu-ray. ORQUESTA NACIONAL DE ESPAÑA Conductor/Composer: Cristóbal Halffter. Cello Concerto Nº2.